21 November 2012 by . He reminds us of the seriousness of our mission and the need to respond to God’s invitation with great responsibility. At the same time he opens us to hope for a bright future, a future destined for the children of God. To those who wish to further investigate the issues mentioned in this message, I remind you the book entitled: “2012 The decisive choice of mankind” recently published. 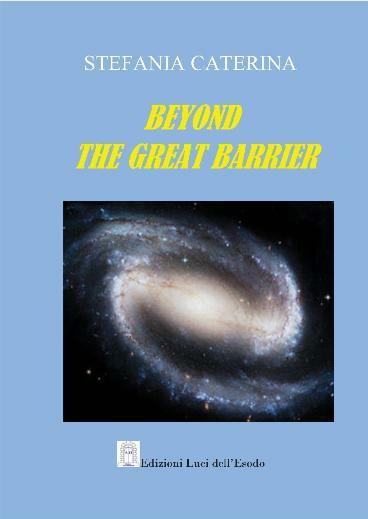 The book highlights the lines of the universal action of God in this time. I hope you will accept and make the invitation of St. Michael your own and may you participate fully in the action of God. I bless you in Christ. God give you peace. “Peace be with you, brothers and sisters of the Earth, you that love and serve God the Father, through the Son, in the Holy Spirit! Once again God sends me to you to help you understand the journey of these days. The year 2012 is about to come to an end; it was a crucial year of decisive choices for all humanity, especially that of the Earth.There is still a short time left, during which the action of God will become even more intense within souls, in order to bring as many people as possible to choose Jesus Christ and, through Him, to choose the one true God, the Lord of the entire universe. During this year, the Holy Spirit incessantly has called men and women of each planet, by acting in the depth of each individual, in order to help everyone to choose Jesus Christ and be prepared to the events that await us all. Starting with next year, the entire Mystical Body will be progressively involved in the powerful action of God, in order to recapitulate in Christ the whole of creation. Angels, saints, men and women who have decided to serve God will participate to this action. The communion of saints will be a living and active force in the universe. Each individual will participate to the extent and in the manner prescribed by God according to his originality; even the souls in purgatory shall have their part in all this. The action of God will be more powerful and will gradually and permanently put into crisis Lucifer and his followers, on Earth as on other planets. That is why God needs a people on which He can rely, faithful and obedient to His will, upon whom abundant and ever more powerful graces can be showered. The people of God will begin to live the universal communion.This means that all humanities living on different planets, little by little, will meet and will join together to form one people: the people of God, gathered around His Pastor and Teacher, Jesus Christ, Who will guide it into the new creation. This communion between the different humanities will develop gradually, and will make the action of God ever more rapid. In fact, the people of God will be made up of real children, obedient to the Father, who promptly will execute His commands and will put His laws into practice. Until now, you have seen the behavior of your humanity, mostly selfish, hostile to God and contrary to His laws. You got used to the apathy with which this humanity of yours responds to the invitations of God. You do not know the behavior of other people of the universe, faithful to God, who have no other desire than to love and serve God because they reject selfishness, and promptly obey the divine will. These men will enter in communion with you and will work with you, side by side, for the kingdom of God. This way, the action of God and of His people will always be moving faster and faster. This people will always become more united to the powerful instruments of this time: angels, the Central Nucleus, brothers and sisters of the universe faithful to God. This will allow these people to fully participate in the action of God and to be protected. It will be up to God to gradually reveal the work of these instruments, by making it always more visible, so that the journey of the people might always be perfectly oriented towards Jesus Christ, and its action be decisive and unanimous. All the journeying made by the various humanities of the universe in recent years, served as preparation for the mission that awaits the people of God in the years to come. 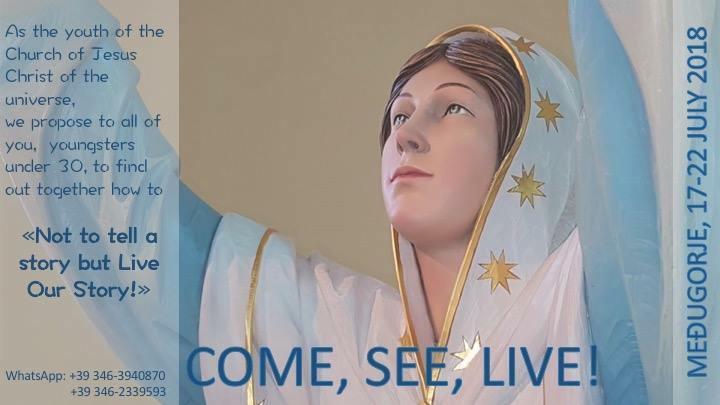 Starting this 2013, all those who, in recent years, fully accepted Jesus Christ as the Son of God and Savior, and have decided to serve God faithfully, offering Him their life through Mary, will be called to take part of the new people. They will be sent in mission in the entire universe to proclaim Jesus Christ. Thus, the great universal mission of the Church will begin, that is, the mission of the people of God. No one will be able to stop this mission. The children of God will tread the universe in order to seek and to save that which was lost, and bring it back to Christ, so that Christ, in turn, might bring it back to the Father in the power of the Holy Spirit. The royal priesthood of the people will be brought to fullness. New shepherds according to the Heart of Christ will be given to this people. The announcement of salvation will reach every man and woman of good will, in every corner of the universe. The kingdom of Lucifer will begin to stagger; the children of darkness will be left aside and they will not be able, any longer, to stand in the way of God’s People. First, however, a great battle between the children of light and the children of darkness will be fought: Lucifer will do everything in his power to seduce the people of God and to divert its path, but he will have to succumb to the power of the communion of saints. The more the people will be sure and strong, the more the times will be shortened. All that the Son of God proclaimed and predicted must be fulfilled in His holy people. He is the Alpha and the Omega: whatever started in Him, in Him it will be fulfilled. God Almighty asked me to be the leader of His people in this time, to gather it from every part of the universe and to bring it to Jesus Christ, to protect it from evil and hold it in the laws of God. My job is to continually open the way for each one of you and for the entire people of God, so that the journey toward Jesus Christ becomes smoother. God also wanted me to be the leader of His powerful instruments of this time.I accepted my task for the love of God and His people, and I will fulfill it with all my strength.I am the Precursor of the glorious coming of Christ, to prepare your hearts to welcome Him in His power. For this reason I am calling you once again to a firm decision for Jesus Christ, so that I can count on your full cooperation. I invite all humanity of the Earth, the leaders of peoples and religions to recognize Jesus Christ as the Son of God and Savior, and to submit to His power and to His authority. I am particularly inviting the Christians of the Earth to overcome their divisions and to place themselves humbly at the disposal of God’s plan for this time: the plan to recapitulate in Christ all things in heaven and on earth. I am inviting the Pope and all the Bishops of the Christian Churches to nourish and protect the faith of the people with the full offering of their lives, to constantly call the faithful to integrity of life and faith. I am inviting them to courageously protect the flock entrusted to them in the face of every assault from evil. The things that I have announced will be accomplished in the manner and within the time established by the Lord of the universe. It is up to each of us to start walking toward what lies ahead and which is in the thought of God, Who predisposes everything for the good of His children. It is up to everyone to do his part with seriousness, responsibility and love. Everything will be given to us and we will not be in need of anything. Each one of you will know with certainty what he will have to do because everything will be revealed at the right time and in the right manner, and everyone will be led by the Holy Spirit in a sublime way. We are about to enter extraordinary times such as mankind has ever known.So I am asking you once again to offer your life to Jesus through the Immaculate Heart of Mary. This is the indispensable condition so that the promises of God for each and every one of you be realized. The original Italian title is: „2012 La scelta decisiva dell‘umanità”. For the moment this book is only available in Italian and in Croatian.